Hi, my name is Adam Culp, and I love to run. I’ve been a runner all of my life, or at least as far back as I can remember around the 4th grade. I started long distance running recently (2009), and decided to make this blog to track my hobby. My running memories start when I was 11 at a small private school in the country. Recess was like heaven because of open fields surrounding the school where we were allowed to run and play to our hearts content. Kids either played soccer, or just simply chased each other without a care in the world.. In the fifth grade the school announced a fitness competition. I was a tall and skinny kid (as I still am), and did not do great at the push-ups and sit-ups, but when it came to running I discovered something fantastic. I was able to complete a whole mile, and still have enough time to rest before the other kids crossed to finish line. Everyone seemed very happy with my performance, and that began my love of running. I had found something that I could do well. In 9th grade I earned my varsity letter in track and field. I had earned enough points doing the high jump, 110 meter high hurdles, and 400 low hurdles to proudly wear my varsity letter as a freshman in high school. I also placed 6th in the Ohio state championship in both the 110 high hurdles and the high jump. I don’t remember why, but I lost interest in sports after that year. In retrospect perhaps if someone had introduced me to longer distances I would have been happier. After high school I enlisted in the Army. While the Army wasn’t too bad, I was very surprised at how little we ran. Sure there was a lot of training doing push-ups and sit-ups, as well as stretching and stuff. However, we did not run much at all. When I was stationed in Germany we only ran about 3 miles each week. (Spread across 2 runs on 2 different days.) While it was not really enough to accomplish anything it did keep running alive in my mind. The other soldiers would cry and whine about doing these runs, but I loved it. In October 2008 I joined the local gym and started running and getting in better shape. I wanted to test for my judo black belt, and quickly realized my stamina and strength was much lower than it should be. While I had kept myself in pretty decent shape, I had no stamina, and my core strength was just enough to survive. I started running 10 mile each week, and weight training 3 times each week. In late December 2008 someone asked if I would join the office and run in the January Susan G. Komen 5K race. Being a team player, I signed up and now had a reason to run again. Race day was awesome. I had not competed since my freshman year in high school and the adrenaline was flowing. I ran an impressive 24:12 and was very pumped. After that I continued to run, in the gym, and decided that I would try to run more 5k races. In July I was telling a friend, Scott Huitt, I was thinking of running a little more miles than the 10 to 15 per week I was doing. (He is a marathoner, and ultra-marathoner as well as my teacher at judo. I knew he would be able to help.) He said I should try to run a 5 miler and see how that felt, then if it felt OK I should try 9 miles a few days later. He also said I should do these runs significantly slower (by 2 minutes per mile) than I had been running my 3 mile workouts. I enjoyed running the long miles (double what I had ever run in my life), but had not realized I was capable of more. However, Scott patiently steered me in that direction and I was a sponge for any information as I learned the tools needed to do long runs. 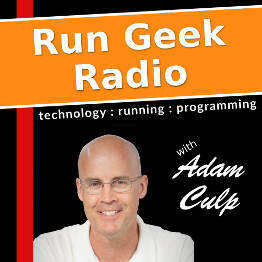 I learned about sports gels, running clothing like shirts and shorts that wick moisture, heart rate monitors, and other things that make running long distances a little safer. In August 2009 I started thinking seriously about running a marathon. It was then I decided the 2009 Palm Beach Marathon on December 6th would be my first marathon. Along the way I would also run my first half-marathon in October at the 2009 Martin County Halloween Half. The three months leading up to the half-marathon went fast, and I completed my first half-marathon(13.1 miles) in 01:52:18. A sub-2 hour half-marathon on my first attempt of the distance. Six weeks later I ran my first full marathon (26.2 miles) in Palm Beach, and also had a very nice accomplishment. My first marathon finishing time was 04:10:25, which was what I had set out to do. (A 9:30/mile pace.) I now have a completely new way to look at myself, and realize that I am capable of much more than I had every thought. 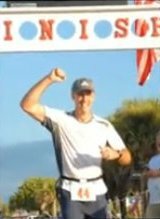 On February 12th, 2010 I ran my first 50 mile ultra-marathon only two weeks after completing the 2010 ING Miami Marathon. The 2010 Iron Horse Endurance Run is held in Florahome, Florida and was a lot of fun. I look forward to doing it again in 2011, but will try to do the full 100 miles this time.